As Ambazonia’s humanitarian crisis rages on, it is important to learn from similar perspectives across a continent still grappling with its colonial legacy. Indeed, the case of Somaliland, also a UNPO member, is fairly similar, in that they were both British-colonized entities that inherited similar institutional differences that they wished to keep. Unfortunately, Ambazonia has not achieved the de facto statehood Somaliland currently enjoys, instead still struggling with its centralizing power’s attempts to undermine its institutions. Here an African expert wrote for a Somalilander journal. Cameroon’s governance and security problems have historically attracted little outside attention. But this seems likely to change, for two reasons. 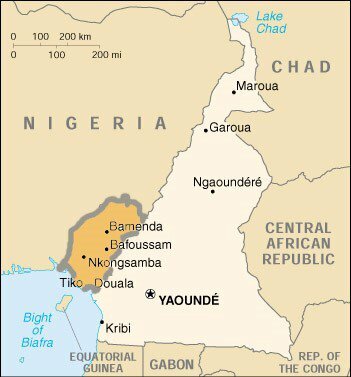 The first is the growing political crisis in the Central African nation’s English-speaking region. The second is a presidential election scheduled for October 2018. The interim government’s spokesman, Nso Foncha Nkem, invitedFrancophones to leave the region and called on Anglophones in Biya’s “rubber-stamp” government to return to Ambazonia and support the movement. He also pleaded for unity, asking that Anglophones speak in one voice.